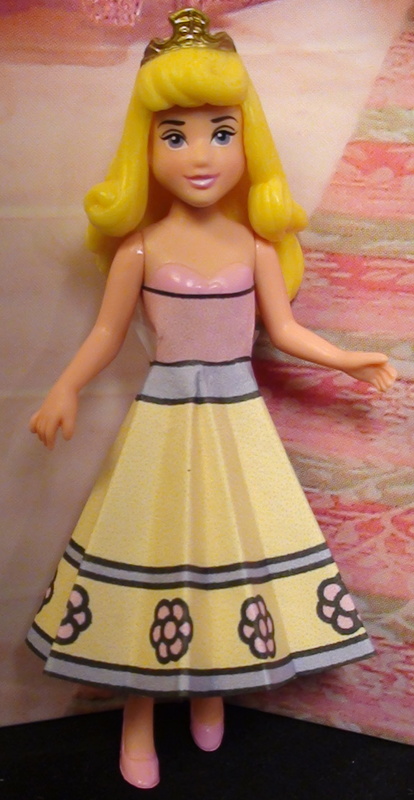 I have several of the Ellowyne dolls by Wilde Imagination and I really enjoy them. 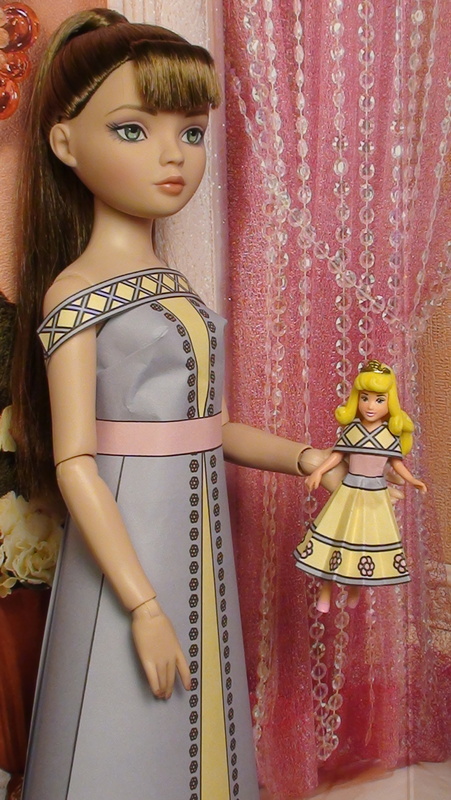 They are taller and wider than Barbie dolls so my outfits don’t work for these dolls without some adjustments. 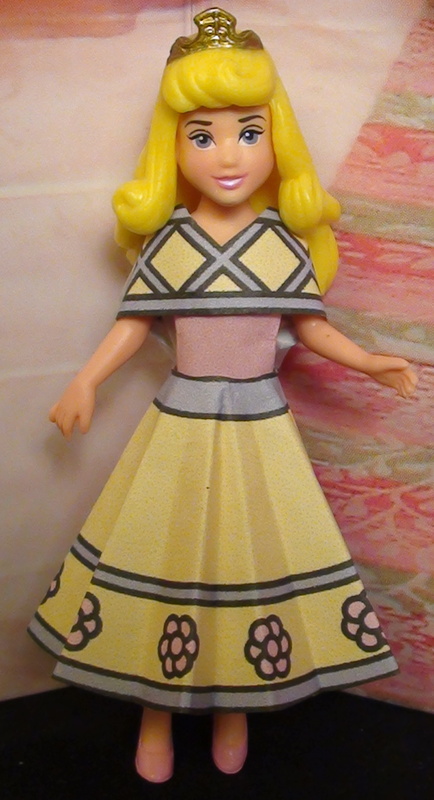 To make this dress for my Ellowyne, I cut along the top line of the top piece and left extra white along the edges so it will wrap all the way around the doll. I left the extra at the bottom as that adds stability when placing the top on the doll. 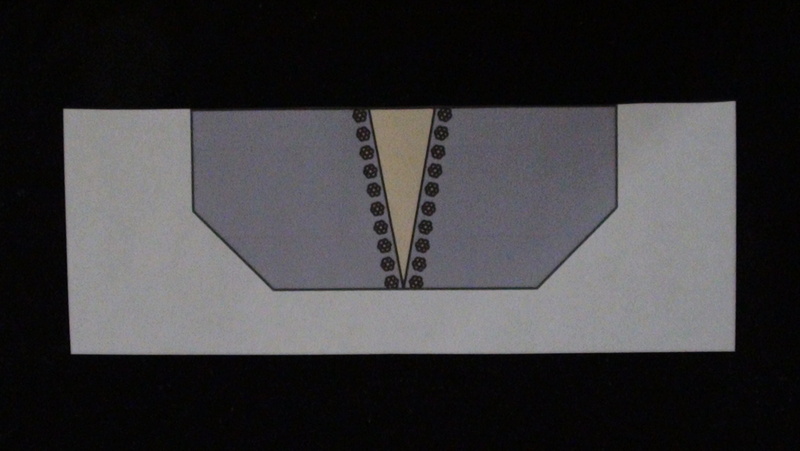 I used the front piece of the flared skirt and taped two back pieces to the edges of the front. Then I wrapped the skirt around the doll and taped the overlap in the back. My dolls like to have their own dolls. I like to dress them in matching outfits. To make Ellowyne’s Doll’s Dress I wrapped part of a strap around the waist of a little doll and taped in place. I used half of a prepared small circle for the circle skirt. 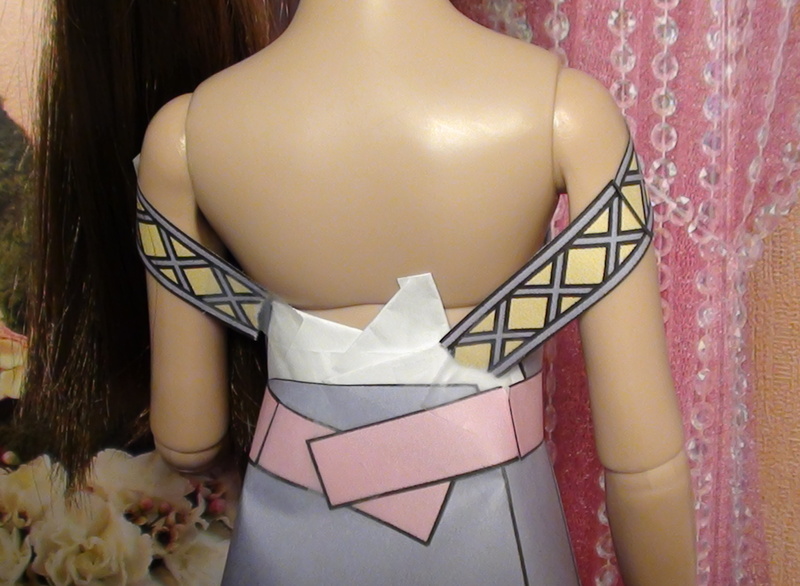 Then I took another strap piece and cut out a triangle shaped insert and wrapped it around her shoulders and taped in place in the back. To make these dresses I used pieces from the Heidi collection. Recently I got three of the background scenes from American Girl. They are really fun for photography and can work for more dolls than just 18″ if you get your angles right. I got the snow scene, the park scene, and this scene which is the party room. I had a lot of fun today taking pictures with the new backgrounds.